Fighting world violence one film at a time! October 26, 2017 — Hollywood, California — The 7th edition of Global Nonviolent Film Festival (previously known as Brasov Int’l Film Festival) will take place September 20 – 30, 2018. The most important and renown nonviolent film festival in the world is now open for submission. Filmmakers from every corner of the world are invited to submit their films and documentaries to this vanguard on-line festival that showcases the best of the best in nonviolent cinema. 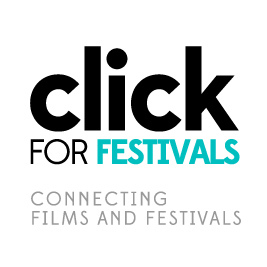 The Festival works with FilmFreeway, Withoutabox, FilmFestivalLife, FestHome and ClickforFestivals. More submission options are available on the the right-hand side of this website. Any world brand and organization with strong social responsibilities’ commitments and principles that are against violence should consider sponsoring this vanguard film festival. Brasov Film Festival is moving ONLINE! Starting this year, in 2016, on it’s 5th edition, the Festival is moving ONLINE! All films selected this year will be screened on the Festival’s VIMEO Channel that will be revealed soon. “The great success of the Festival has brought us to take it online and to make it a truly international event that can be enjoyed by everyone worldwide” – said Daria Trifu, Director of the Festival. The 5th annual edition of Brasov International Film Festival & Market is opened for submissions. The Festival takes place from September 1 to 11, 2016. The Festival has been recognized by the IMDB and all Awards from previous years have been listed. Visit the Festival’s IMDB Profile! Brasov International Film Festival & Market is the most important and renowned nonviolent film festival in the world. The Festival was founded by film director Bruno Pischiutta and producer Daria Trifu in 2012 to showcase nonviolent, main stream motion pictures and to show that those movies are not only capable of great international success but they are also in high demand by the public. For four years, the Festival was held in the beautiful resort city of Brasov located in Transylvania, in the heart of Romania. All submitted films (that adhere to the Festival’s guidelines) will be certified as an “Official Selection” and will receive the Official Selection Certificate. The selected films will be screened (on the programmed date and time) via Brasov International Film Festival & Market’s VIMEO channel and they will be awarded. Film Director Bruno Pischiutta, the Artistic Consultant of the Festival, had this to say: “Today, there are thousands of Film Festivals everywhere and many people are not used anymore to view films in cinemas but on their TV and on their computer’s screens. Many see films on gadgets and on their phone. These are the facts. Considering the above, considering the importance and the meaning of our Festival, the most important and renowned nonviolent Film Festival in the world and considering that today, in the era of the internet, there are other ways to reach a big number of viewers, a number that no cinema can contain, I have decided to modify the formula of our Festival. The next edition, the fifth edition of the Brasov Film Festival will be available to all the world’s viewers via the internet. Everybody will be able, for a few Euros per ticket price, to follow our Festival everywhere in the world. Brasov International Film Festival & Market is the world vanguard of on-line Film Festivals and it is making history. Our Festival will bring to the viewers’ screens feature films, feature documentaries, short films, short documentaries and related presentations”. Live action feature films, feature documentaries, feature animation films, short documentaries and live action short films may be submitted. From all the films submitted, those selected to receive an Award will be the only ones screened during the Festival (all films screened during the Festival will receive an Award). All films submitted MUST BE NONVIOLENT ONLY. The films submitted must be available in English or in the original language with English subtitles. Entrants are responsible for obtaining any necessary licenses, royalties, release forms, clearances, permits necessary to present their work. Brasov International Film Festival & Market is not responsible for any claim involving copyright, trademark, credits, or royalty infringement related to the work. Once a submission is completed, no film can be withdrawn from participating in the Festival should the Festival select it. Brasov International Film Festival & Market is privately owned and organized by Global Film Studio Inc., Canadian company headquartered in Toronto. Submit your film to Brasov Film Festival! Brasov, Romania — January 15, 2016 — In its 5th edition this year, Brasov International Film Festival & Market has also opened for submissions via Withoutabox. The Festival, to be held September 1 – 11 in the beautiful resort city of Brasov, Romania accepts film submitted via FilmFreeway, FestHome and ClickForFestivals, in addition to Withoutabox. Brasov International Film Festival is the most important and renowned nonviolent film festival in the world. The Festival welcomes live action feature films, feature documentaries, short documentaries and live action short films. All movies must be nonviolent. Brasov International Film Festival was founded by film director Bruno Pischiutta and producer Daria Trifu in 2012 to showcase nonviolent, main stream motion pictures and to show that those movies are not only capable of great international success but they are also in high demand by the public. Over the years, some of the filmmakers awarded there include: Nicole Kidman, Woody Allen, Richard Gere, Keira Knightley, Robert Redford, Sarah Jessica Parker, Woody Harrelson and Cameron Diaz among many others. Brasov Film Festival is open for submissions. Brasov, Romania — January 8, 2016 — The organizers of the Brasov International Film Festival & Market congratulate the producers of the feature film “Let’s Dance to the Rhythm” (‘Nachom-ia Kumpasar’) for having made it to the list of productions eligible in the ‘Best Foreign Film’ and ‘Best Background Score’ categories at the 88th Academy Awards (Oscars®). The film was an official selection at the Brasov Film Festival in 2015, the most important and renowned nonviolent film festival in the world, where it received the ‘Best Film Out Of Competition Award’ handed to Miguel Barretto. Another film that met with great international success following its screening and ‘Best Film Award’ at the Brasov Film Festival is “Oblivion Season”, the Iranian movie directed and produced by Abbas Rafei and starring Sareh Bayat. “Oblivion Season” portrays a moment in the life of an ex-prostitute who, after changing her life, becomes prisoner of her husband and, in order to earn her freedom, she should fight with the chauvinistic society of Iran. The film was an official selection at the Brasov Film Festival where it had its European premiere. Other films that were awarded at the Brasov Film Festival and that went on to receive distribution, get released and/or win other international festivals are “Other People’s Children” directed by Liz Hinlein and starring Chad Michael Murray and Diane Marshall-Green, “Come Back Jeeto” directed by Jaswant Mintu and “Wildlike” directed by Frank Hall Green and starring Bruce Greenwood, Brian Geraghty and Ella Purnell. Brasov International Film Festival, the most important and renowned nonviolent film festival in the world, is now open for submissions. The 5th annual edition of the Festival will be held September 1 – 11, 2016. The Festival welcomes submissions of live action feature films, feature documentaries, short documentaries and live action short films. All films submitted must be nonviolent. Brasov International Film Festival was founded by film director Bruno Pischiutta and producer Daria Trifu in 2012 to showcase nonviolent, main stream motion pictures and to show that those movies are not only capable of great international success but they are also in high demand by the public. Over the years, some of the movies and filmmakers awarded here include: Nicole Kidman, Woody Allen, Richard Gere, Keira Knightley, Robert Redford, Sarah Jessica Parker, Woody Harrelson and Cameron Diaz among many others. The Brasov International Film Festival & Market has opened submissions for the 5th annual edition of the Festival, to be held September 1 – 11, 2016. Brasov International Film Festival is the most important and renowned nonviolent film festival in the world. The Festival takes place in the beautiful resort city of Brasov located in the heart of Romania. The Festival welcomes submissions of live action feature films, feature documentaries, short documentaries and live action short films. All films submitted must be nonviolent. A total of ten feature films will be selected, screened and awarded at the Festival. All submitted short films and documentaries (that adhere to the Festival’s guidelines) will receive the Official Selection Certificate however, only one feature documentary, one short film and one short documentary will be screened during the Festival and those three will be the selected ones to receive Awards.